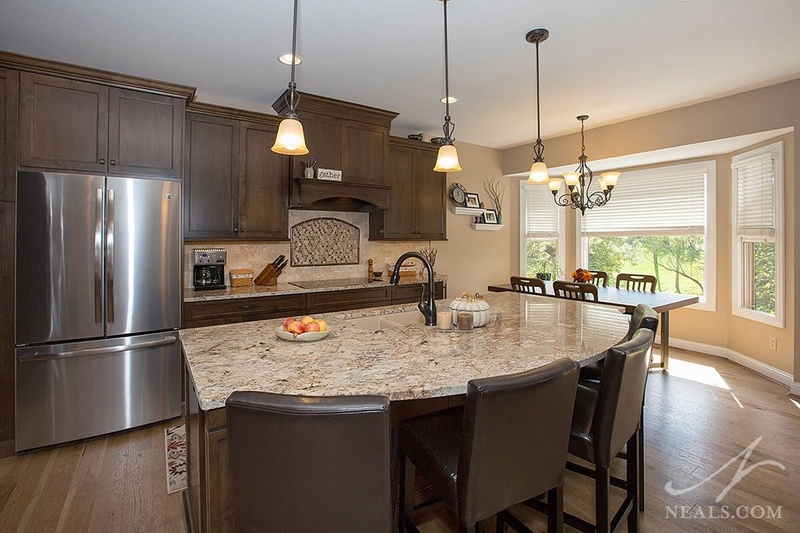 The homeowners’ goals with this kitchen remodel were to update the look of the kitchen to better reflect the style of the home and their personal style preferences. Creating better flow and improving the functionality of the working triangle were important considerations as well. The new kitchen needed to handle the homeowners’ needs in daily life, and their entertaining needs. 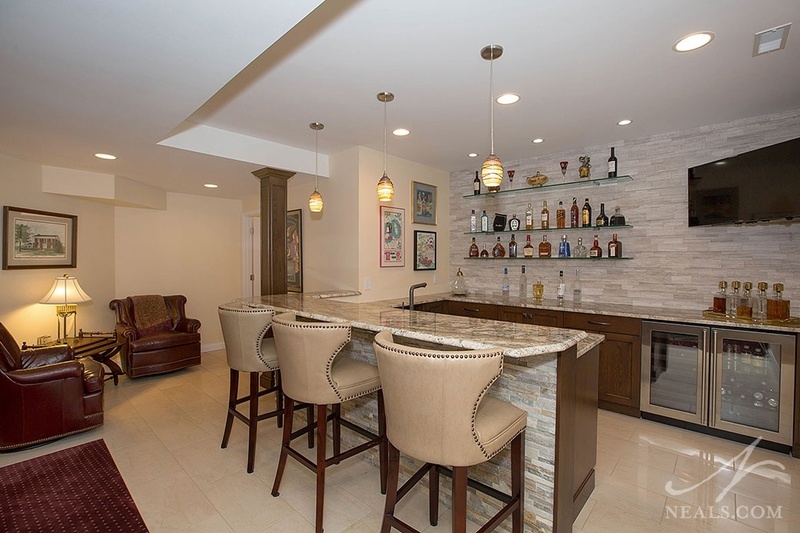 The remodeled space needed to accommodate parties, particularly focused on cooking. The homeowners also desired more closed storage to alleviate the cluttered look of glass-fronted cabinets. 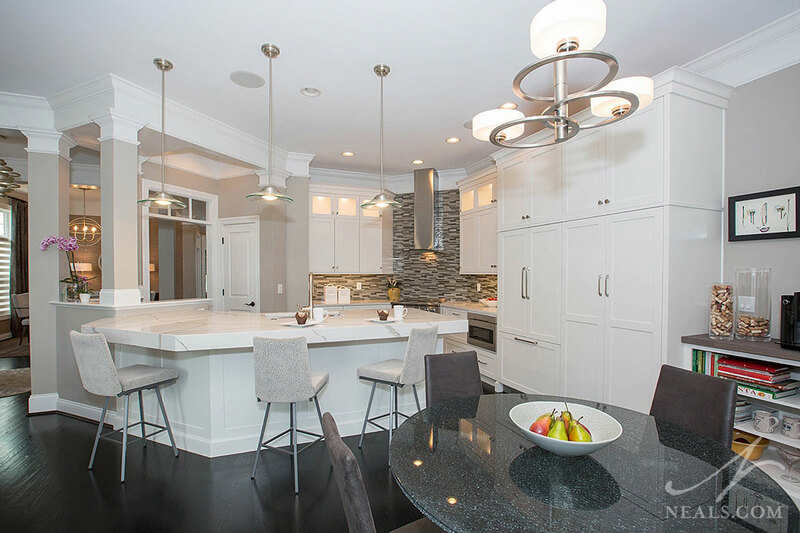 This project is a 2018 Local Contractor of the Year Residential Kitchen winner. The goal of this Western Hills residential kitchen remodel was to create an open flow between the kitchen and the living areas beyond. 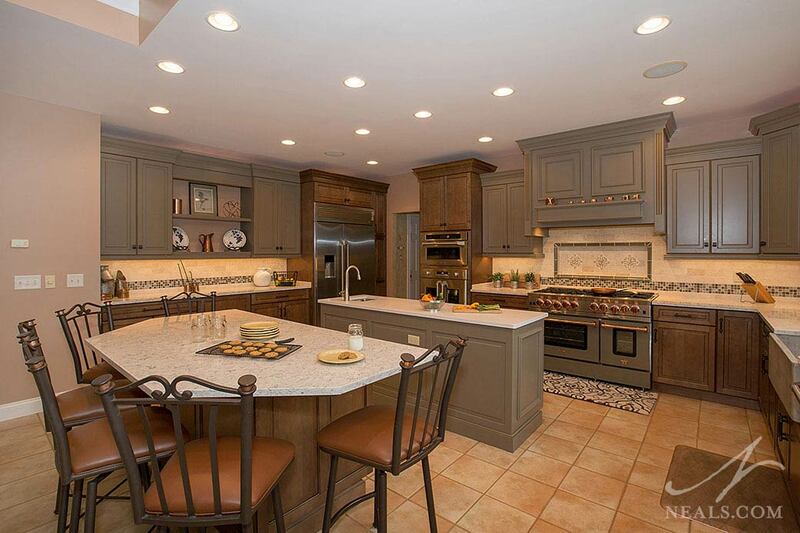 The homeowners were also ready to get away from the white cabinetry to a design with a richer color and texture. A better working triangle was also a goal, in addition to making a kitchen that felt welcoming while still providing ample space for completing tasks. Using stone as an accent inside the home is a popular design choice. That natural look and texture of stone juxtaposed with interior decor creates a casual look, but also injects the timelessness of a rustic architectural statement. It's not a one-size-fits-all option, however, and there are several ways to apply it that can drastically change the finished look from one option to the next. Here are some interior stonework design ideas you should know when choosing interior stonework for your home. When your tastes favor a contemporary look, a traditional, simple, brown kitchen can almost feel like someone else’s home was grafted onto yours. That’s how the homeowner of this Montgomery Contemporary Craftsman kitchen felt before swapping the cabinets out for a new crisp white space in this remodel.